The anti-bullying week starts 12-16th November its an awareness campaign designed to reduce bullying in schools, work, college, socially or online. According to NSPCC, there were over 19,000 counselling sessions with children about bullying in 2017/2018 and around 16,000 young people are absent from school due to bullying. Its a problem, and we look at how Martial Arts can help children and adults can overcome bullying. Generally speaking, bullying is unwanted, aggressive behavior among school-aged children or adults that involves a real or perceived power imbalance. Its usually caused and affected by an imbalance of power. Bullies use their power, such as physical strength, popularity, or information, as a way to coerce, control or harm others. What are the main forms of Bullying take? Verbal bullying is frequently cited but it can be written. Bullying can take place anywhere, including social media sites as well as on the street or in the office place of work or school or college. Essentially bullying has a psychological impact of the recipient. It will vary from person to person, however, it will fundamentally reduce confidence and potentially increase anxiety and even fear. It some cases it can result in being afraid to go to school or work. As a result, its impact can potentially extend beyond the near term and can reduce the individuals' career opportunity. Individual's who experience bullying are said to be more prone to depression and anxiety, increased feelings of sadness and loneliness, changes in sleep and eating patterns, and loss of interest in activities they used to enjoy. The psychological impact can be lifelong with a future event triggering the fear and anxiety later in life. Martial Arts essentially develops life skills which will help everyone overcome bullying. There are a number of reasons why it is effective. One of the main benefits of any Martial Art is to build confidence in an individual. Bully's pray on people who lack confidence I themselves. 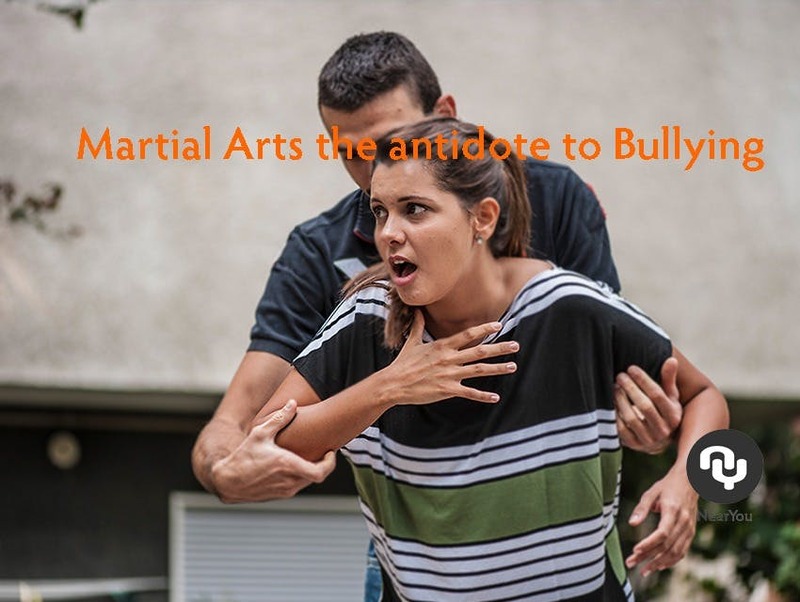 Martial arts builds fitness and confidence and arms individuals with one of the most important forms of anti-bullying defense. Bully will often pick on people who are unfit or show signs of physical weakness. Regular training boosts fitness and as a result confidence. Creating a virtuous circle of strength and confidence. Awareness of those around you, being able to distinguish between the good guys and the bad guys plays a big part in Martial Arts. Good fighters need to be aware of their opponents and training helps increase awareness skills that can be applied to everyday life. Simple body language like a bow, a fist bump, or even a high-five show mutual respect and admiration. When you show respect to others, they will show respect to you. This reduces conflict, builds mutual respect, and reduces potential conflict. From the time you step on the mat, you see that respect for instructors and peers plays a big part in Martial art training. Learn how to defend yourself against the bully. Martial Art training gives students the skills to defend themselves. This builds confidence and helps deter would-be bully's. A bully is looking for soft targets that can't defend themselves or seem defenseless. They look for prey and a weak confident person is their ideal target. The answer is they all cover the areas that will help arm an individual against bullying. Many clubs run anti-bullying specific classes that deal with this and self-defence. Many schools now offer martial Arts classes after school or you can find one on Martial Arts Near You. Where can I find an anti-bullying class Near Me? So you only need to find a Martial Art gym on NearYou website and start to FEELING GOOD. Live in London? Check out Sang Moo Tgms Martial Arts Academy here. They run anti-bullying and self defence classes on a regular basis.